Deciding to euthanize a pet is an agonizing process. You will likely experience a wide range of complicated emotions as the time comes. It is important that you are prepared for this event and deal with the feelings as they come. There is great fear in not knowing what will occur on the day of the euthanization. Discuss this with your veterinarian and ask questions. Our veterinarians are very familiar with the experience and are able to talk with you about the process and feelings that go with it. Spend time with your pet in the weeks or days leading up to the euthanasia. This will be a very special time for both of you. You will undoubtedly feel very emotional and sad but try to remain in control. Your pet will sense your feelings and you want this time to be as enjoyable as possible for them. Decide whether you would like to be there during the euthanasia. 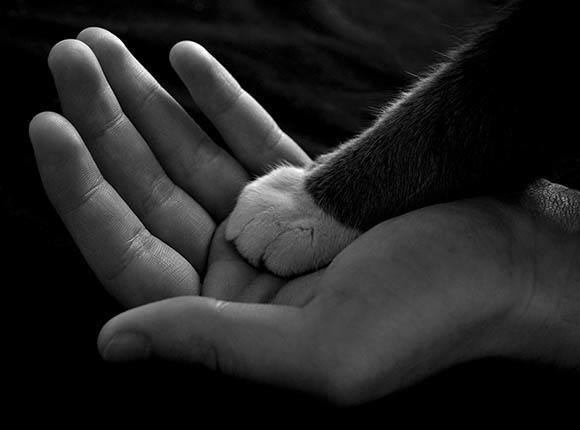 Some people wish to be with their pet and officially say goodbye during the final moments. Others feel that the experience would be too much to handle. Whether you choose to be with your pet or not, be reassured that you have given him a lifetime of love. Either decision you make is appropriate. Arrange time to spend with your pet directly before the procedure. If you choose to be in the room, you can still have some private time with your pet beforehand. It is sometimes helpful to say goodbye in this final setting. Talk to your family about euthanasia. Everyone should be able to share their thoughts and feelings on the process, and ultimately decide if they would like to be present or not. It can be a traumatic experience, so fully consider the outcomes prior to deciding.